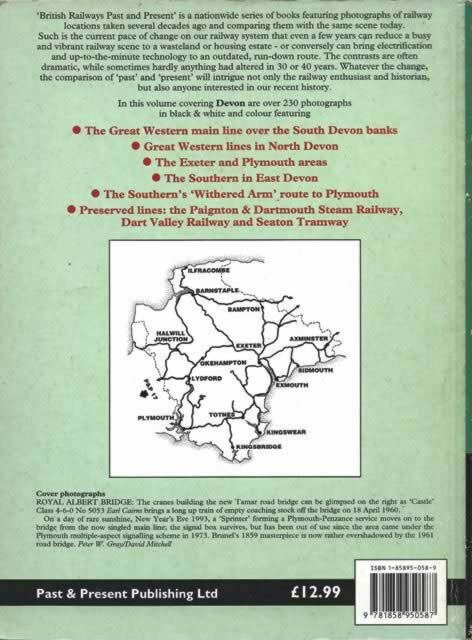 British Railways Past & Present - Devon. This book has been written by David Mitchell and was published by Past & Present. This book has over 230 photographs in black & white and colour taking a nostalgic and comparative look at the country's railways. 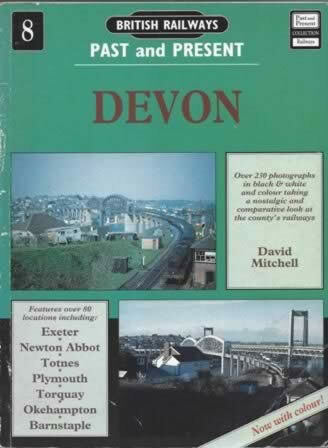 It features over 80 locations, including: Exeter, Newton Abbot, Totnes, Plymouth, Torquay, Okehampton and Barnstaple. This is a new book, however the cover has been creased and has become scuffed while on display.